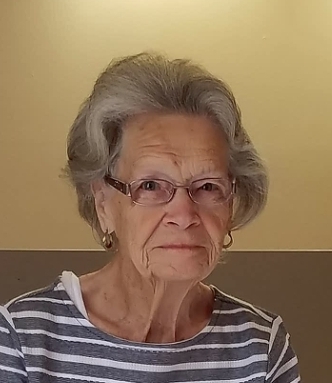 Helen M. (Hanshaw) Ferrell, age 87, Millersburg, Ohio went home to be with the Lord Wednesday August 29, 2018 at Hospice of the Western Reserve, Westlake, Ohio surrounded by her family. Funeral services will be 2 p.m. Saturday at Elk River Nazarene Church, 143 Dutch Road., Charleston, West Virginia with Pastor Randy Ledsome officiating. Burial will be at Rock Memorial Gardens in Elkview, West Virginia. Friends may call one hour prior to the services at the church on Saturday. Arrangements are being handled by Alexander Funeral Home, Millersburg, Ohio. Those wishing to share a memory or make online condolences may do so by visiting www.alexanderfhinc.com. Family suggests memorial contributions be made to Hospice of the Western Reserve, 30080 Hospice Way, Westlake, Ohio 44145. Helen was born May 8, 1931 in Charleston, West Virginia and was the daughter of John and Berta (Surface) Hanshaw. She married William R. Rock Sr., then married Orville Edens and later married Doyle Ferrell all whom have preceded her in death. Helen enjoyed going to yard sales and loved thrift store shopping. She is survived by for children and their spouses, William R. Rock Jr. (Casey) of Brinkhaven, Ohio, Kathlyn Gatens (Donald) of Cleveland, Ohio, Patricia Sherwood (Scot) of Westlake, Ohio, and Jeffrey Edens (Christy) of Millersburg, Ohio; 10 grandchildren; 16 great grandchildren; one great great granddaughter; and a sister, Jean Burrows of Cocranton, PA.
Helen was preceded in death by her parents; her three husbands; two brothers, Robert Hanshaw and Lawrence Hanshaw; a son, Robert Rock; and two grandchildren, William R. Rock and Michelle L. Rock.